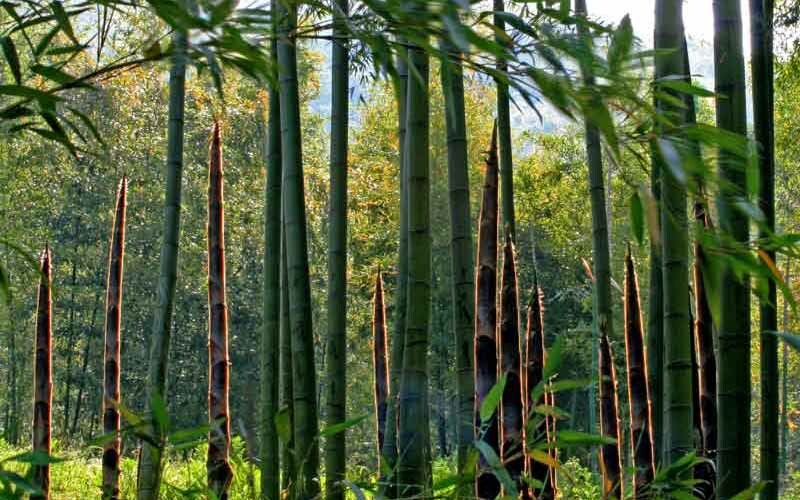 Moso bamboo (Phyllostachys pubescens) is native to China and is one of the fastest growing woody plants in the World reaching over 90 feet tall. It is actually a fast growing grass that grows very fast and then hardens over several years. 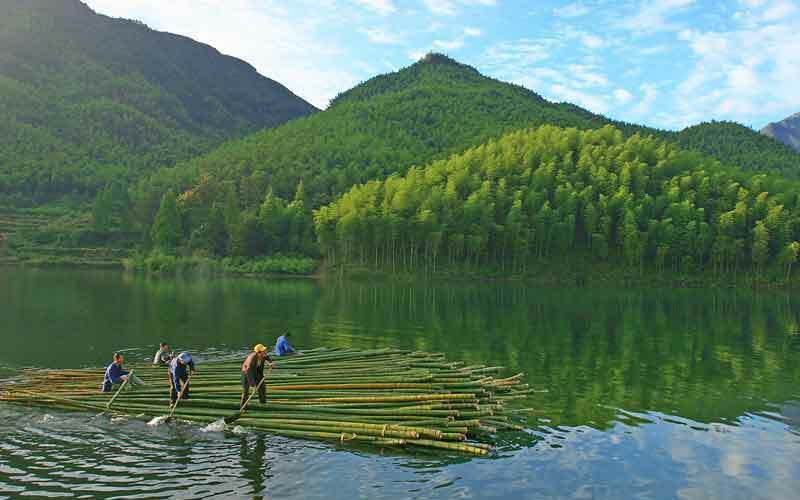 The fibers from moso bamboo are fairly stiff and can be extracted mechanically then used in producing textiles, paper products, kitchen utilities, flooring as well as lumber and decking. 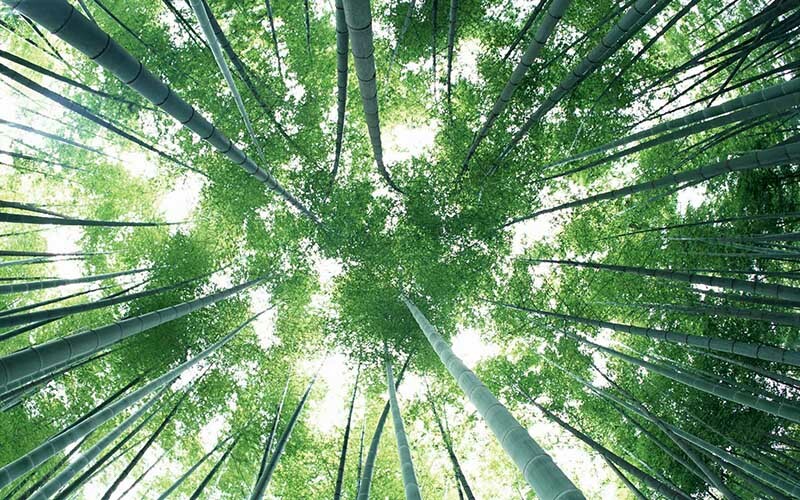 See also: Facts about Pandas and Moso Bamboo.